After reading this epic sci-fi action webcomic, it has one of the best and tragic stories i ever read. The series is like Starship Troopers meet Star Wars where regular humans with advance weapons and mechs fight side by side with Knights, specially trained badass swordsmen with powers against the Beasts, alien bug-like beings who show no mercy to humans. Every battle the humans fight against the Beasts is a fight for the survival of the human race and every win they make is bittersweet as soldiers lives are lost to defeat the enemy, civilians, friends and love ones are killed but humanity is saved for the time being. Knight Run currently has three story arcs called "Episodes" with "Episode 0" still being scanlated. Episode 0 focuses on Anne and Pray, two of the most powerful Knights of their generation. While Anne is sociable and kind and wants to protect humanity, Pray is rude and anti-social and is only fighting for Anne's sake. So your opinion about this series? Absolutely the best space opera in my list. It's just like the Republic in Star Wars vs Zerg in Starcraft. Just read this the last few days and up to chapter 37. Thus I've really enjoyed it alot. I sorta figured out Pray had something to do with the invasion, but was more thinking that she jumped ship. I really don't understand how she could become a queen (as it implies to her be so). I actually did think that white type zero was her at first, see as she didn't kill Anne on the spot like they normally would. But I really looking forward to this Anne and Pray confrontation. Prays done too much damage to get herself out of this one with an excuse or forgiveness. In a way shes betrayed Anne, but Anne will still lover her. Last edited by Velsy; 2012-05-14 at 23:51. It totally did reind me of Starcraft at the beginning too. 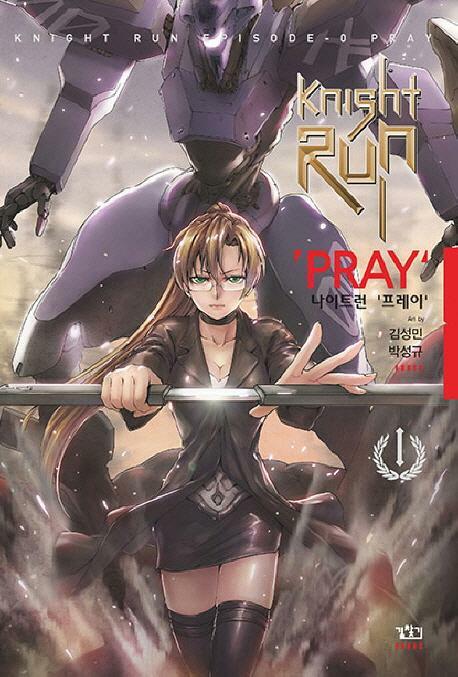 Anyways, apparently the current Knight Run that's being translated is actually a 'prequel' to the later stories that are being published online in Korea right now. The revelation that Pray was in league with the aliens was quite a shock for me. Then we learn she joined them due to her madness of not being with Anne and the aliens whispering into her mind to join so she can be with Anne. This might a worse case of love makes you evil. Now that Anne has arrived at planet Arin, will Anne kill Pray for what she has done or try to convince her to stand down? PS:I noticed that Anne, Pray and Jill are never shown being interested with men but women. We find out Jill's mum was amung the survivers too. Damm. The colony drop was a failure since Pray and her alien allies were prepared for it. I like the story very much, if this were to be turn into a movie, i would have been thrilled to the core. So the humans had a back up plan. Hope those guys will survive. Reviving a somewhat old thread but is anyone still reading this? I read it over the weekend and was not surprised when Pray turned out to be not human. There was just all the hints like the fact that she never aged at all despite the fact that we saw her and Anne together when Anne looked like she was 6 or 7 and yet Pray still looked the same as she did at present. I felt really bad for Jill's mom though when she realized her daughter had died. Last edited by Xacual; 2012-09-27 at 15:43. Reason: Removed spoiler tag, this isn't untranslated info. Oh great! How about putting stuff in spoiler tags? Aghrrr. All of that was from the translated chapters though? I'm really hoping there's explanation on why she looked "human" and how exactly did she and Anne meet. It's the only things not revealed in the flashback, besides who Fion (I think?) is. I think your mistaken. The scanlated chapters never said she's a Queen. Pray helped and is the donor for the new elite aliens that the humans are fighting against.